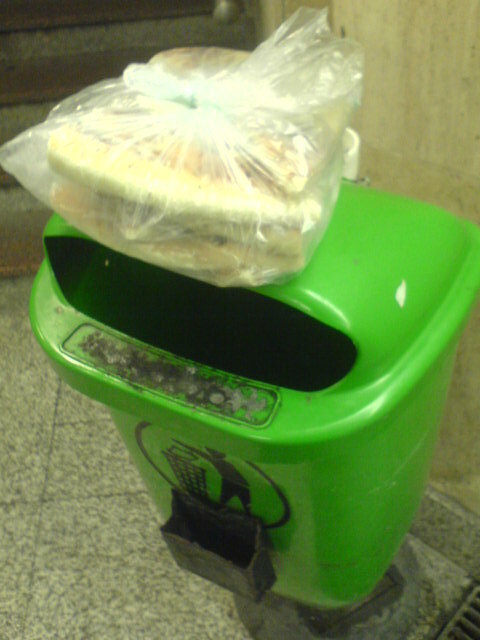 Tonight we were walking with a friend in the city centre, and as we were crossing Astoria we saw a man putting two packages of pizza on the small trash bins in the underground crossing. 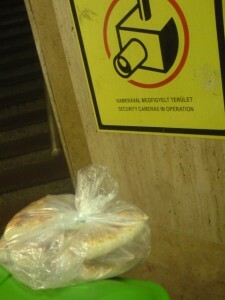 In each package you could find 7 huge pieces of vegetarian pizza. 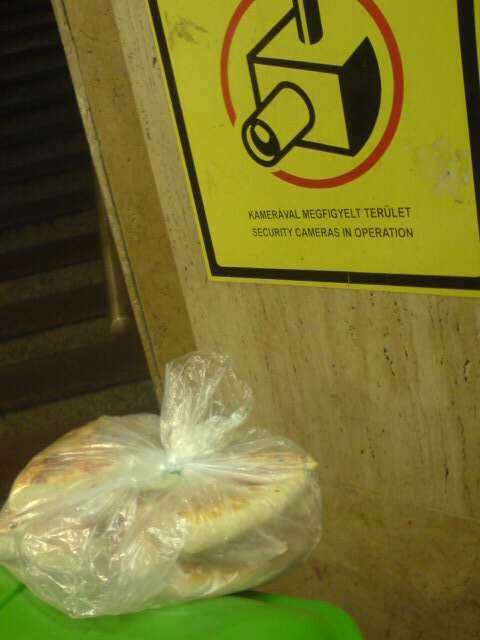 We took one package and went to Blaha square to give the pizza to the homeless. We found exact number of homeless that corresponded to the number of pizza pieces left – 6 (OK, I was hungry and ate 1 piece on the way to Blaha).